Triptychs have a rich history in the church,and are found in many churches and museums today. Usually contains two or three panels hinged together. 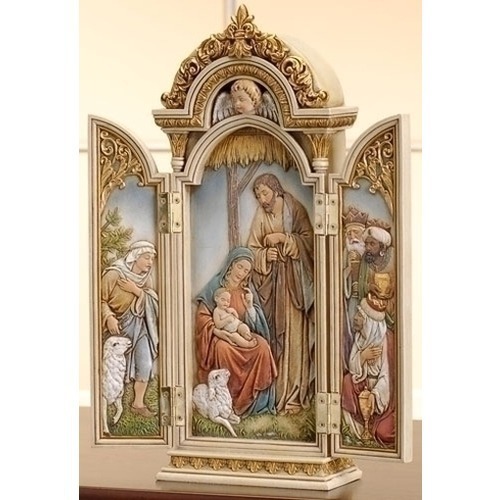 This 3-dimensional carving of the Holy Family comes from the popular Joseph's Studio Collection. Measures 12.75"H. Made from resin and stone.